Organizational Change Management (OCM) is a key component of success for any technology project requiring individuals to change, but it is especially critical for Cloud project success. While the OCM philosophies essentially stay the same for Cloud initiatives, end users may have misconceptions or an unclear understanding of how the Cloud functions, adding to the complexities of your change environment. As a result, change impacts to the organization can be more significant and a solid OCM plan becomes crucial to achieve project goals. AXIA’s senior OCM consultants have decades of experience developing and implementing proven strategies to help organizations successfully move through change. Coupled with our extensive Cloud expertise, we understand the specific difficulties the Cloud environment poses for organizational change and project success. With a proven approach that emphasizes proactive resistance management, employee education and consistent communication, we help organizations navigate change to ensure a seamless transition. We work with your team to gather information, analyze the current state, and identify the level of impact to your technologies, people and processes. We assess your organizational change readiness, and, from there, we develop an overall OCM strategy. We determine how much change management is needed and deliver a roadmap that defines the steps required to successfully take your people through your organizational change. During implementation, the plan comes to life, and we’re able to better understand how each group reacts to the change. We adapt and refine critical plans based on feedback to ensure full adoption, utilization and proficiency by end users. AXIA Change Management consultants work with you to support the change even after it has been implemented. We will work with your team to determine the most critical areas of the plan and determine how to reinforce the right behaviors and actions throughout your organization. We will recommend ways to continue to evaluate results and identify gaps so that your Organization can continue to reinforce user adoption, proficiency and utilization to sustain change. There are three IaaS models – Private, Public and Hybrid – and each has unique characteristics. 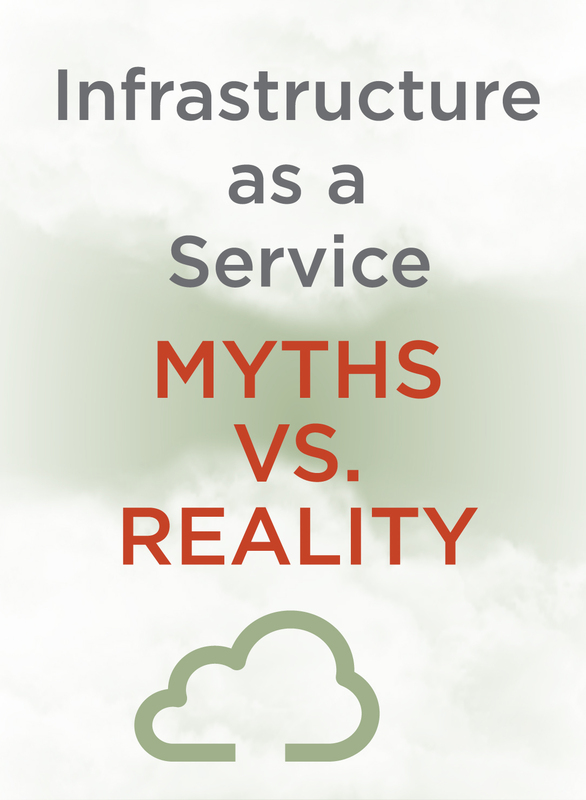 In this article, we explore and separate common myths from reality to get you started on your path towards selecting the right IaaS model for your needs.